The recent killing of a cow elk by a mountain lion led to some of the most fascinating footage of coyotes and a mountain lion vying for food that I've ever captured. 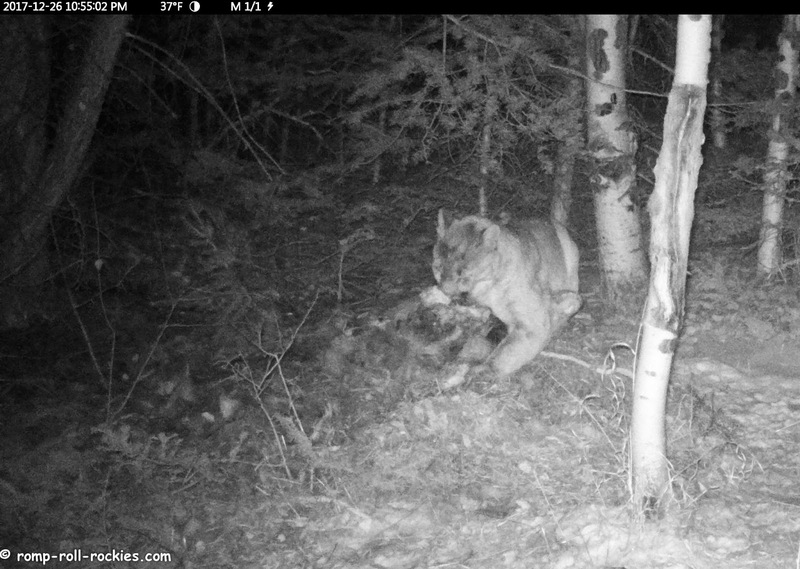 The footage from the first night of the lion and coyotes vying for the carcass was posted here. The second night after we found the carcass commenced with the mountain lion approaching the carcass. Coyotes immediately ran him off. 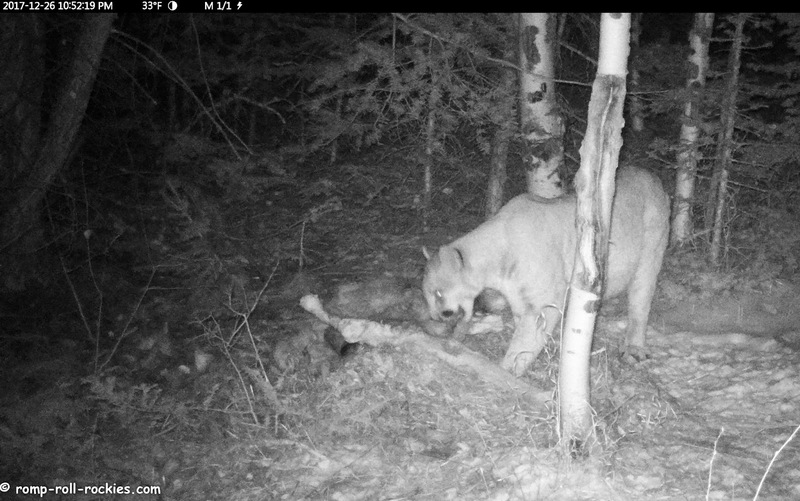 About 15 min later, the mountain lion appeared at the carcass. Coyotes barked at him from all around. Based on their volume on the video, I think that the coyotes were extremely close - perhaps 10 yards or less away from the lion. You'll see the lion look up and his mouth open wide. You can barely hear the hiss he emitted but he did! Then, both he and the coyotes departed the scene. Perhaps they needed a "cooling off" period! There were two story lines to this night. First, every time that the lion was at the carcass, it sounded as if he was surrounded by a pack of coyotes all barking. 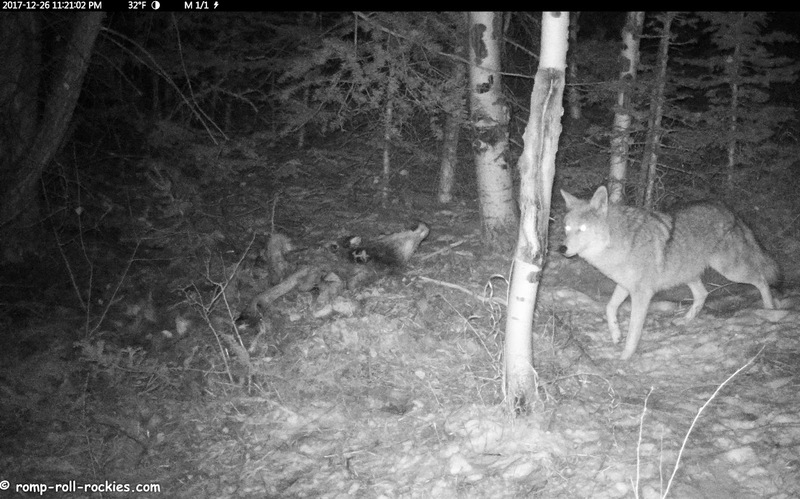 Second, whenever the coyotes had a chance, they pulled the now lighter carcass out into the meadow. As soon as the lion saw that, he easily slid it back to its original spot on the edge of the forest. 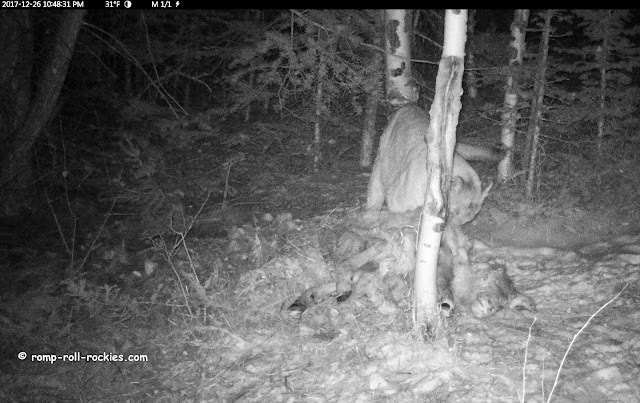 I think that the coyotes felt safer from the lion out in the open while the lion naturally likes to have more cover. Here are some photos of the lion eating the carcass next to the cover of the forest. The lion stayed only until around 11PM that night, and he departed for his final time. I think that he left because the meat was less plentiful, the coyotes were driving him nuts, and he might have had another kill nearby. I'm basing that last reason on the observation that his belly looked full even as he arrived at this kill. This was one of his arrivals. Look how his distended stomach, full of food. Here was his final departure. The coyotes left him alone as he departed the scene. 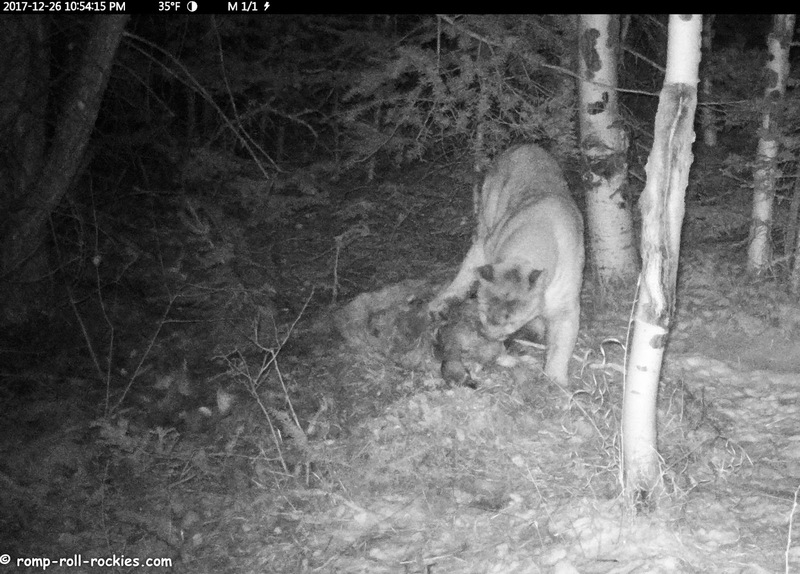 Very soon after the lion left for the final time, the coyotes nervously moved the carcass to the meadow where we found it the next morning. 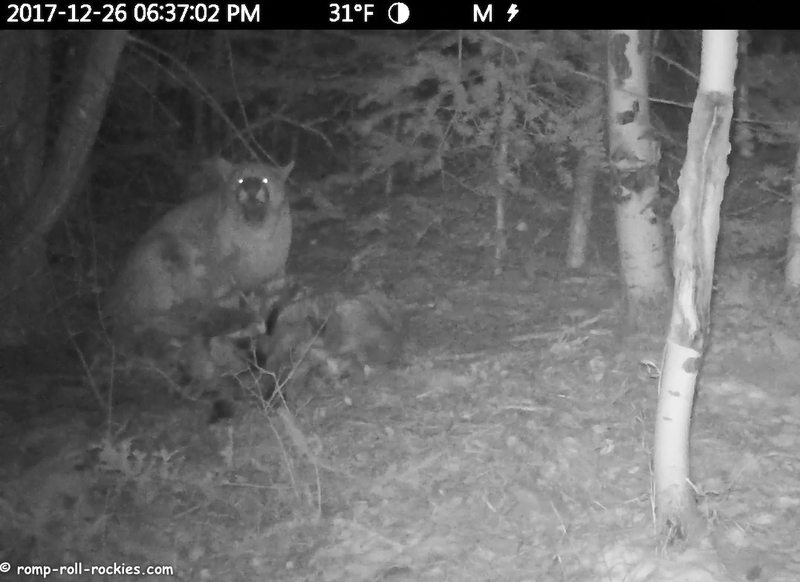 We pointed a camera at the carcass in the meadow where I suspect that the coyotes and birds have eaten every last morsel of nourishment from the carcass. 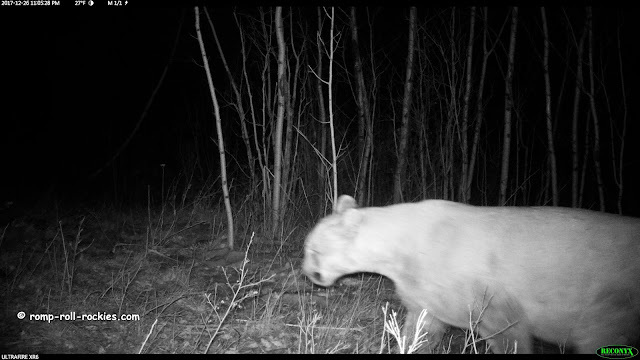 I will check that trail camera soon. Here is the video which you can watch here or at Youtube. WOW! How amazing being able to watch all that. Thank you for being our window into the unseen world! So amazing. I love this. I need a trail cam. We have visitors at night when we are out in the desert, I'm pretty sure it's kit fox because I have seen them before here. Torrey grumbles at night when she hears them, and I have a motion detector light that triggers if something is near the door. The lion makes sure the carcass is safely under the trees, then the coyotes drag it out, wonder why the difference in where they want to feed? They are noisy, and the lion must have been very hungry. Fantastic footage . Interesting how they are all fairly powerful wild animals but they know the hierarchy in the wild and they do such different things with a kill. Timber is the only dog inside with me now. He is fascinated by the sound of those coyotes, but surprisingly to me he is keeping pretty far away from the laptop:) That sound would spook me too. Such drama. Nice to know that the elk fed so many. My dogs are now going crazy trying to figure out where those coyotes are. They are running in and out, very upset. So I will go and play with them, but before I go, this is a fabulous capture of wildlife. 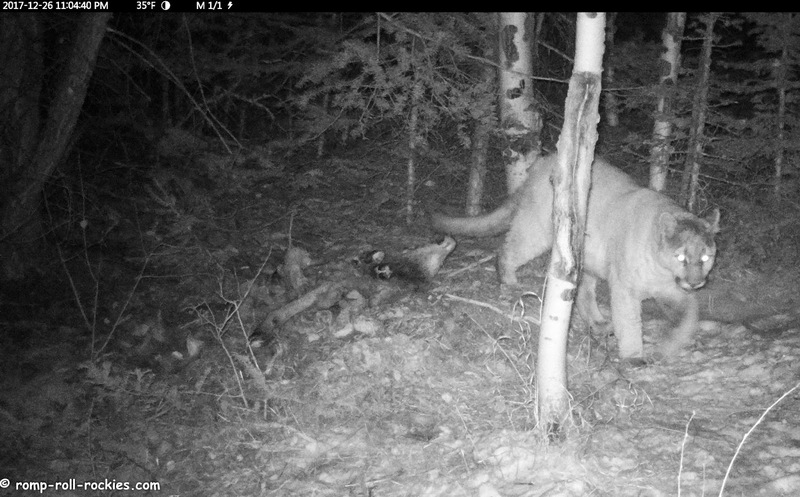 It's so interesting to observe the interactions, how they drag the carcass to their preferred places, and so on. Astonishing footage. Not having coyotes over here I am amazed at how loud they are and how brazen they are too, but I guess they need to be particularly in the winter. The difference in choice of eating destinations is great to see too and understandable given who they are. Thanks again. Tug of war with the carcass! At least everyone is well-fed. I sure wouldn't want to get in the way of their meal time! Love seeing the internal between the two species. Thanks so much for sharing such amazing nature scenes. Such cool footage. Thanks for putting it together. What a great capture, KB! I like the back and forth between the pasture and the forest. I had no idea coyotes would stand off against a lion. Total amazing,,,,So interesting seeing them drag it bag and forth! Obviously the lion wanted to eat in peace and quiet! Can you imagine eating frozen food? Of course they are used to it. The coyotes songs,, are just like the ones that we have here. Hailey was so interested in the sounds. I should have taped her. Amazing!!!! Thanks for sharing your perspective and wonderful photos and video. 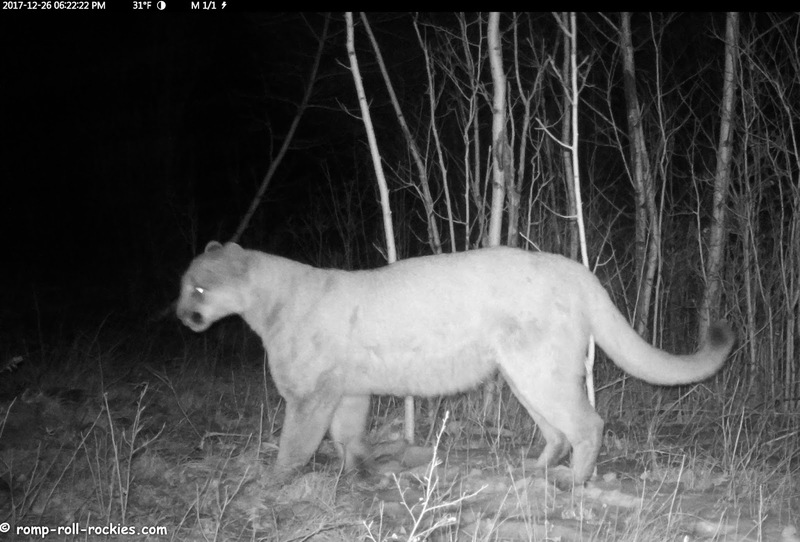 Did you see my mountain lion video? That is all so fascinating! I didn't watch the video yet, since both dogs are nearby and being quiet, so I don't want to give them a reason to bark. I want to hear the coyotes howling though...it's such an eerie sound, and we haven't hear any here for a while.